Today I’m sharing my Kat Von D Everlasting Glimmer Veil Liquid Lipsticks Review and swatches on pale skin. 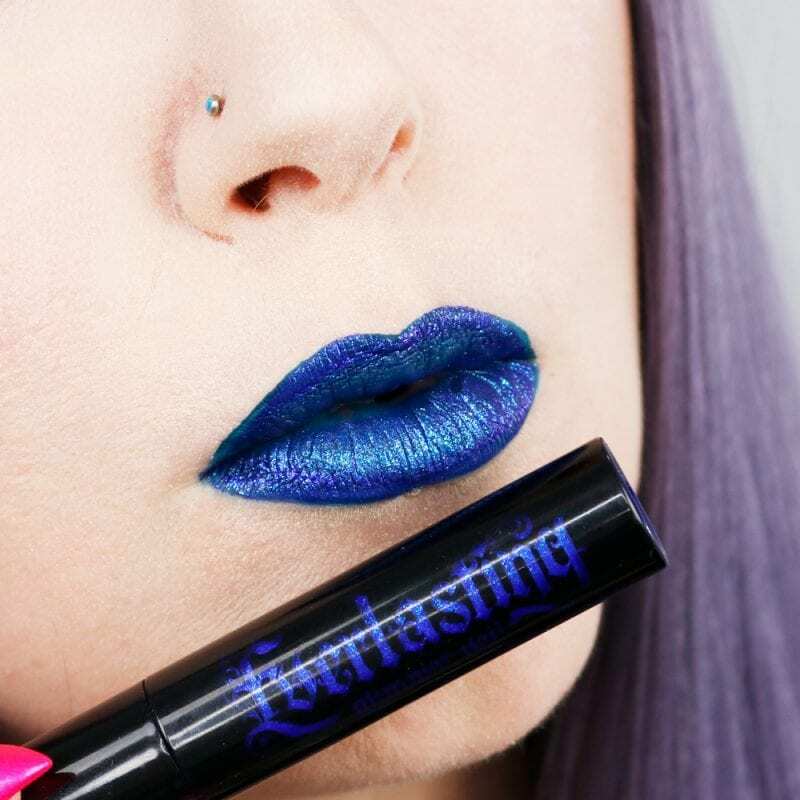 The cruelty-free Everlasting Glimmer Veil Liquid Lipsticks are also 100% vegan, according to Kat Von D’s website. I started out by buying just one shade, Razzle, and then had to buy several more. While I haven’t bought every single shade of Kat Von D Everlasting Glimmer Veil Liquid Lipsticks that’s been released, I’m really happy with the ones I do own. The only two shades I don’t own from the permanent lineup are Satellite and Rocker. I think I also missed out on a limited edition color around Halloween, too. $22 for .18 fl. oz. I decided to make some cute Kat Von D Everlasting Glimmer Veil Liquid Lipsticks swatches in star shapes for you. However, this shot of the Kat Von D Everlasting Glimmer Veil Liquid Lipsticks on the back of my hand turned out to be the best. 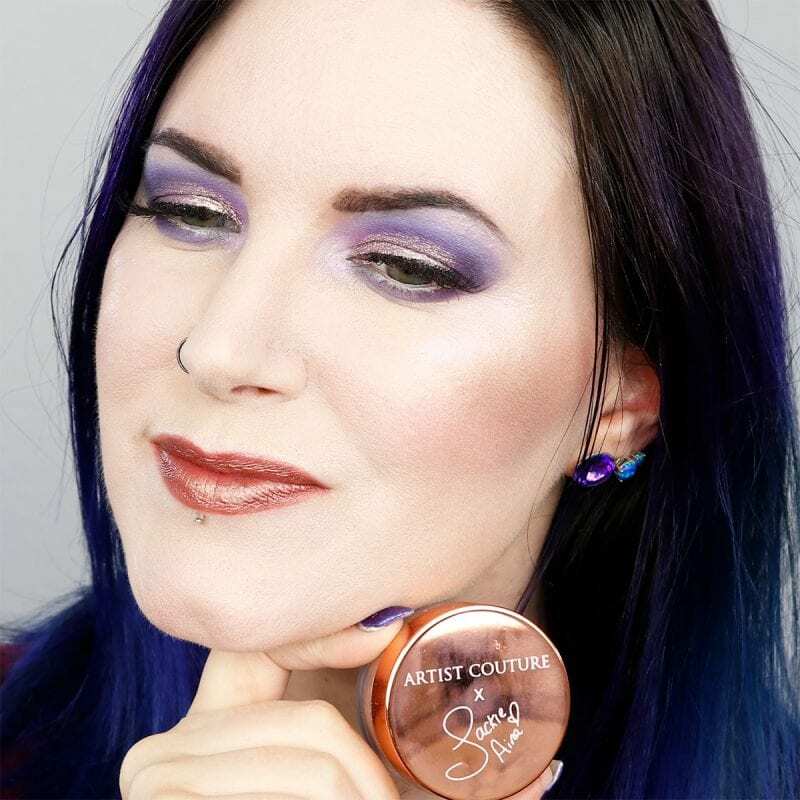 It does a great job of showing the multi-dimensional color (what KVD called 3D effects). I figured you’d want to see my cruelty-free makeup look that I’m wearing. I swatched these lipstick looks back to back so my lip lines are not perfect. I think you’ll still be able to see how the colors look on the lips. Also, I have seborrheic dermatitis by the sides of my nose, which is why the foundation looks cakey there. I don’t have perfect skin. I wish I did! Unfortunately, I’ve got rosacea, dermatitis and a bit of texture from acne. I’m wearing Nyx Jet Set Pencil, Sugarpill Shiver liquid lipstick, and Kat Von D Everlasting Glimmer Veil Liquid Lipstick in Starflyer. 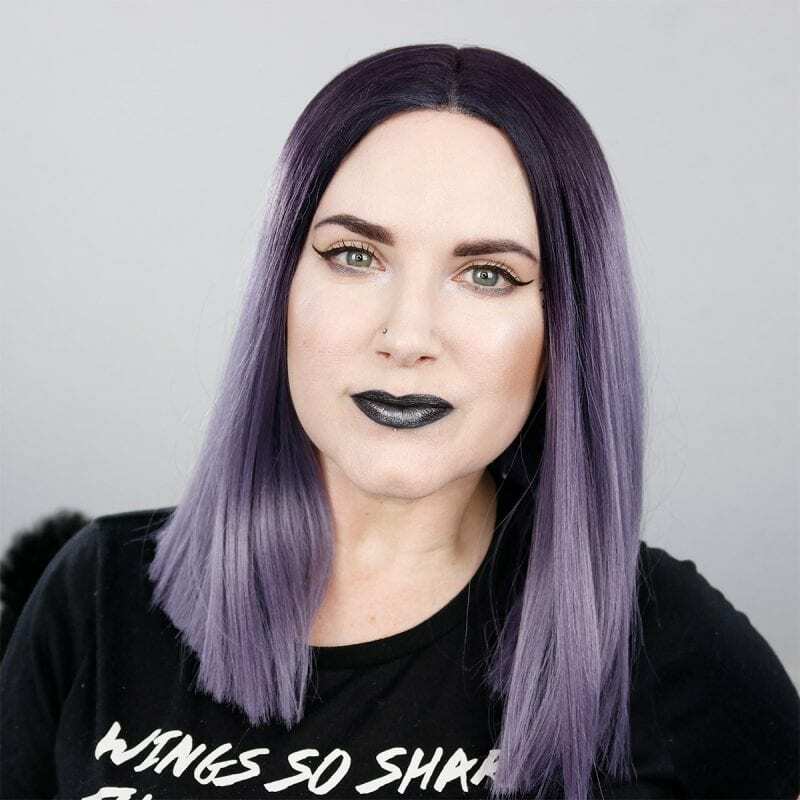 I’m wearing Melt Cosmetics 1979 lip pencil, Sugarpill Dark Sided liquid lipstick, and Kat Von D Everlasting Glimmer Veil Liquid Lipstick in Televator. I’m wearing Sugarpill U4EA liquid lipstick and Kat Von D Everlasting Glimmer Veil Liquid Lipstick in Reverb. 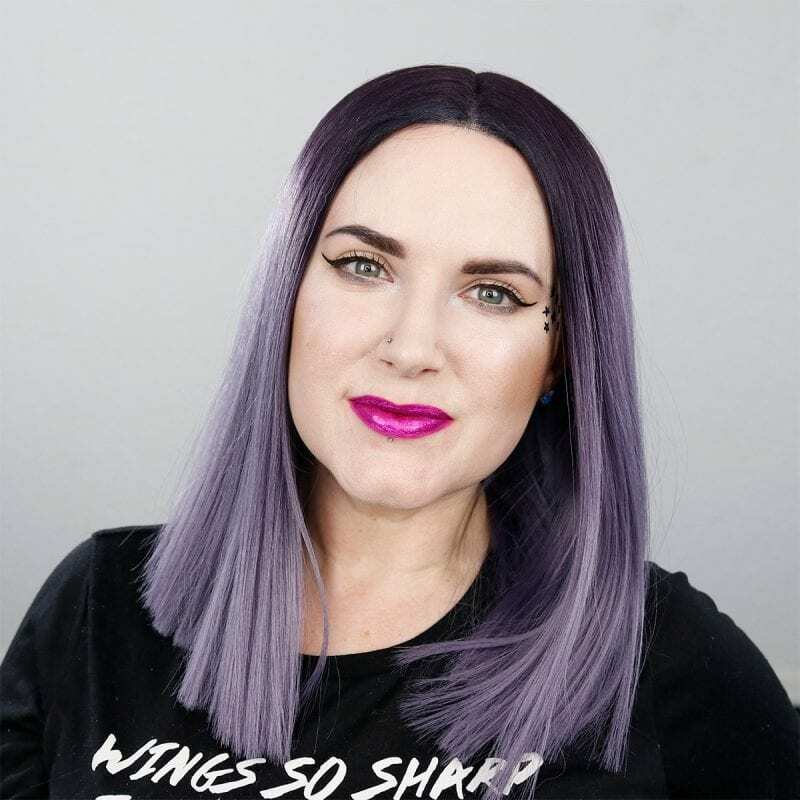 I’m wearing Colour Pop Petit Four pencil (discontinued, try Nyx Stone Fox), Urban Decay Pulse liquid lipstick and Kat Von D Everlasting Glimmer Veil Liquid Lipstick in Wizard. My lips were swelling and sore after swatching the above colors, but I kept going! 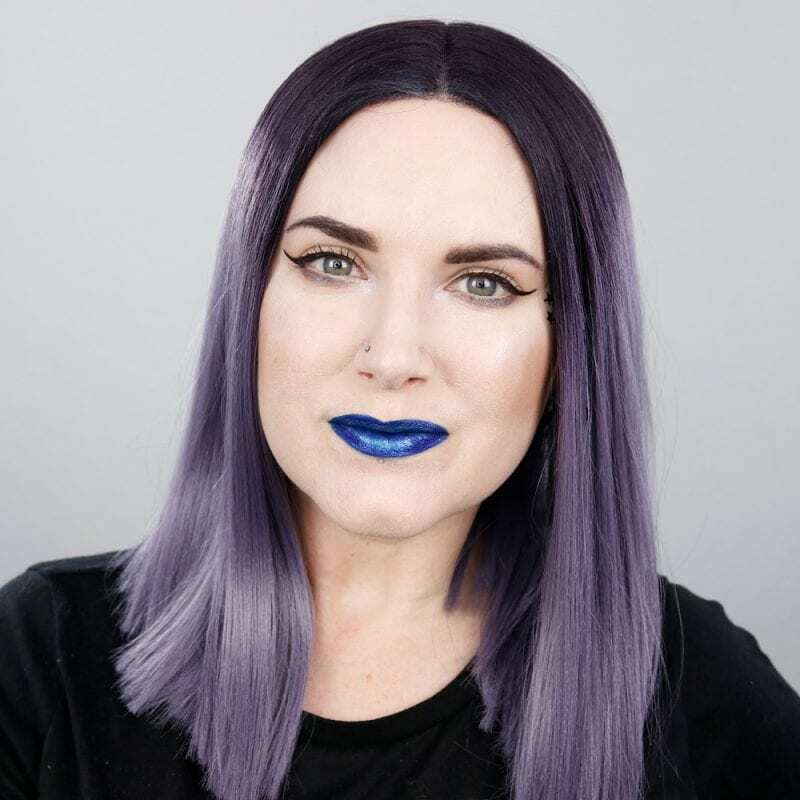 I’m wearing Urban Decay Interrogate pencil and Kat Von D Everlasting Glimmer Veil Liquid Lipstick in Thunderstruck. 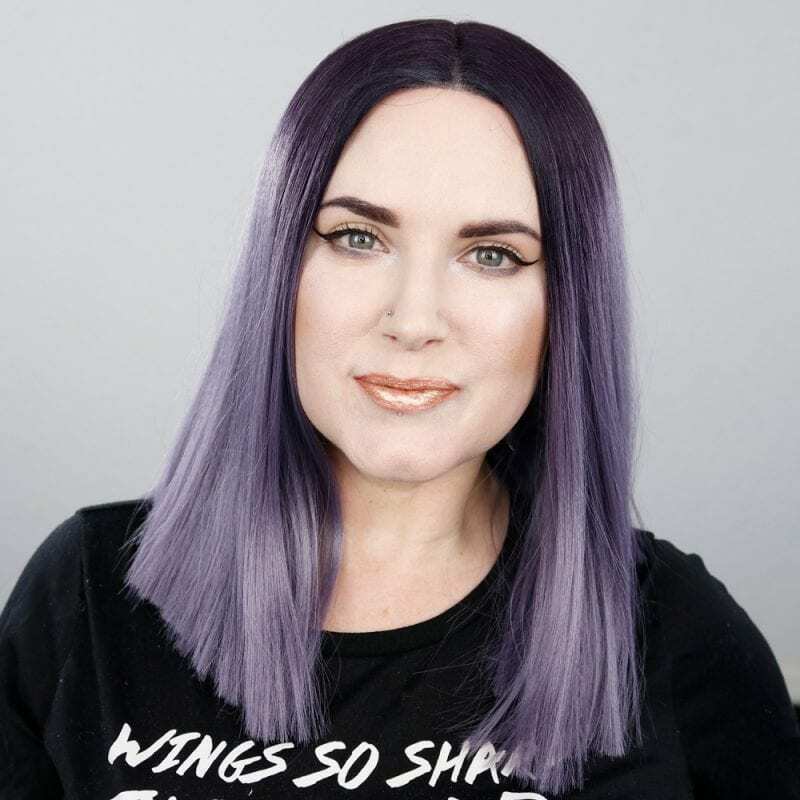 I’m wearing Urban Decay Interrogate pencil, Ofra Versailles liquid lipstick and Kat Von D Everlasting Glimmer Veil Liquid Lipstick in Thunderstruck. I’m wearing Kat Von D Rosary pencil, Urban Decay Doubt vice lipstick and Kat Von D Everlasting Glimmer Veil Liquid Lipstick in Dazzle. I’m wearing Urban Decay Frenemy pencil, Urban Decay Frenemy vice lipstick and Kat Von D Everlasting Glimmer Veil Liquid Lipstick in Shockful. 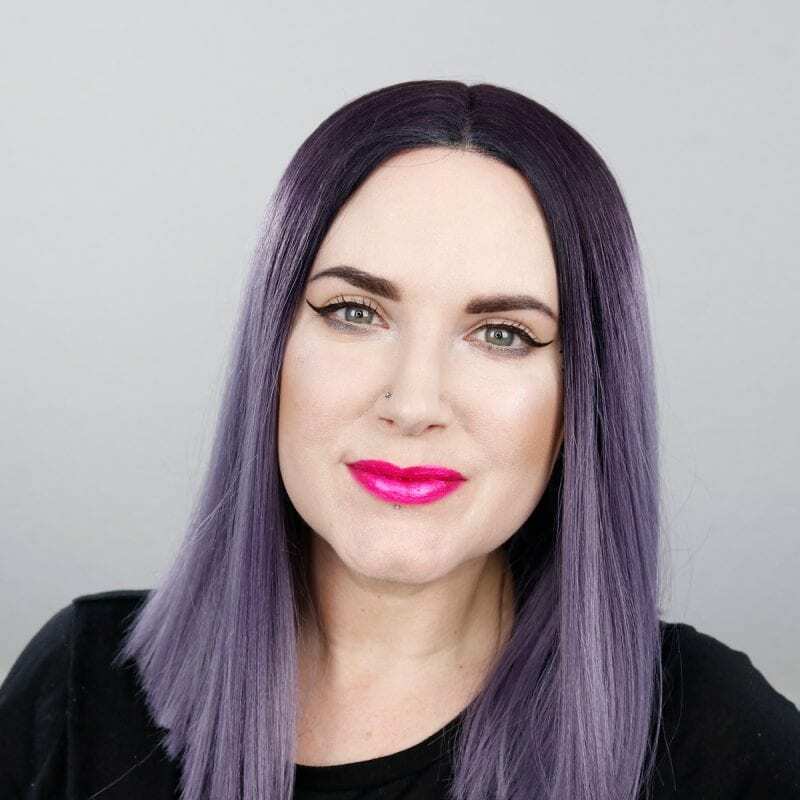 I’m wearing Urban Decay Bittersweet pencil, Urban Decay Crank vice lipstick and Kat Von D Everlasting Glimmer Veil Liquid Lipstick in Razzle. 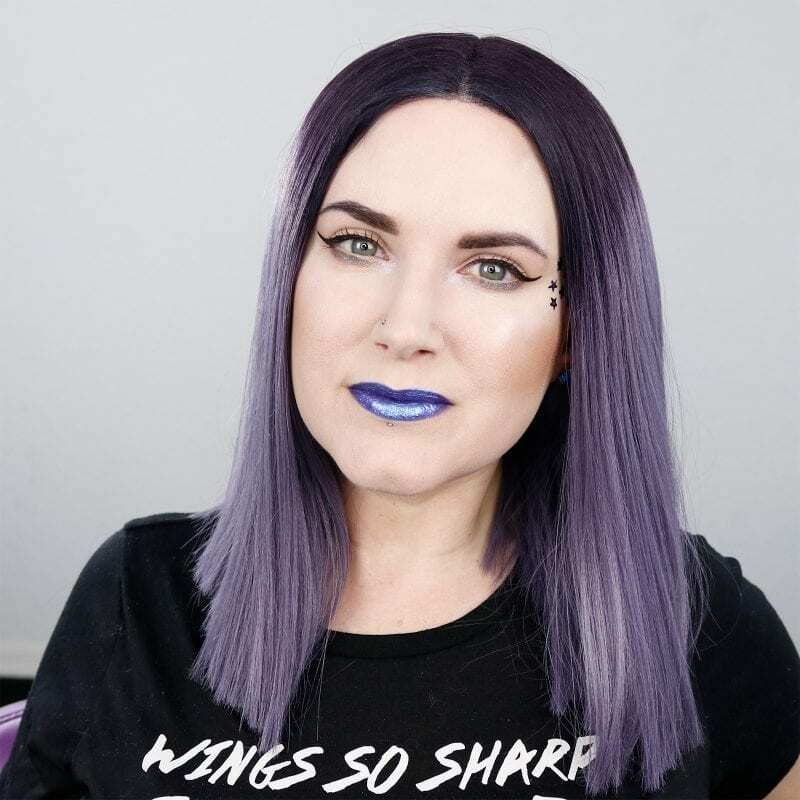 Wearing UD Interrogate pencil and lipstick with UD Conspiracy lipstick on top and Kat Von D Everlasting Glimmer Veil Liquid Lipstick in Thunderstruck at the center to add extra dimension. See here. 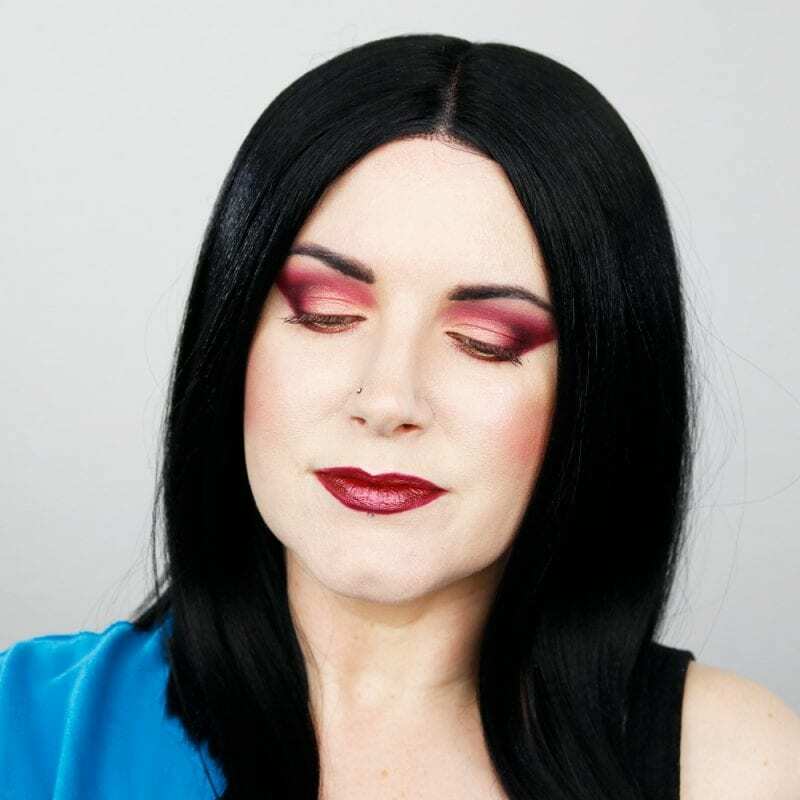 Wearing Kat Von D Bloodmilk pencil, Urban Decay Conspiracy lipstick, and Kat Von D Everlasting Glimmer Veil Liquid Lipsticks in Shockful and Dazzle. I know many people loved this lip look in my video. I think Shockful is what pushes it over the edge to make it amazing. 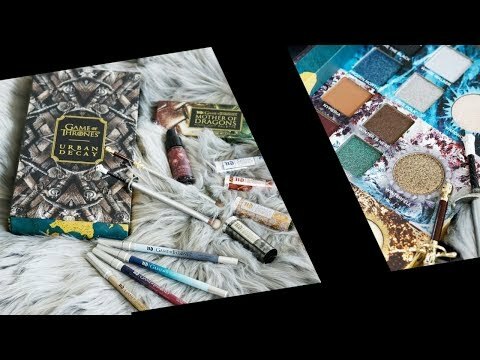 See more in my Current Cruelty-Free Makeup Favorites video. 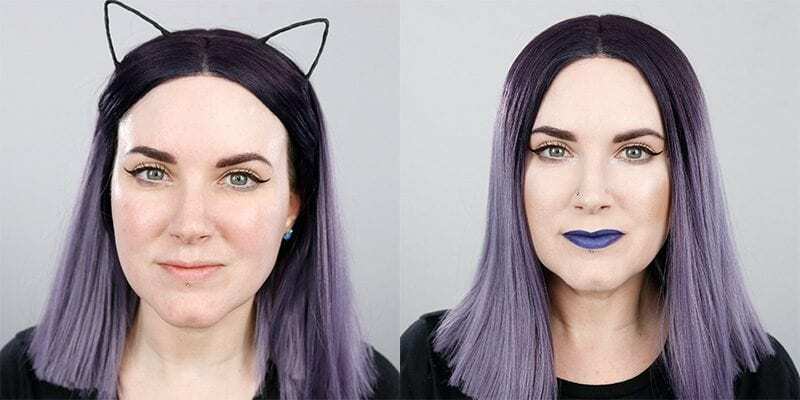 The Kat Von D Everlasting Glimmer Veil Liquid Lipsticks claim to have 24-hour wear, but I’ve never tested them for longer than 16. They do hold up admirably for 16 hours. I personally find the formula to be very comfortable on my lips. I do experience a tiny amount of glitter transfer if I rub my lips vigorously. 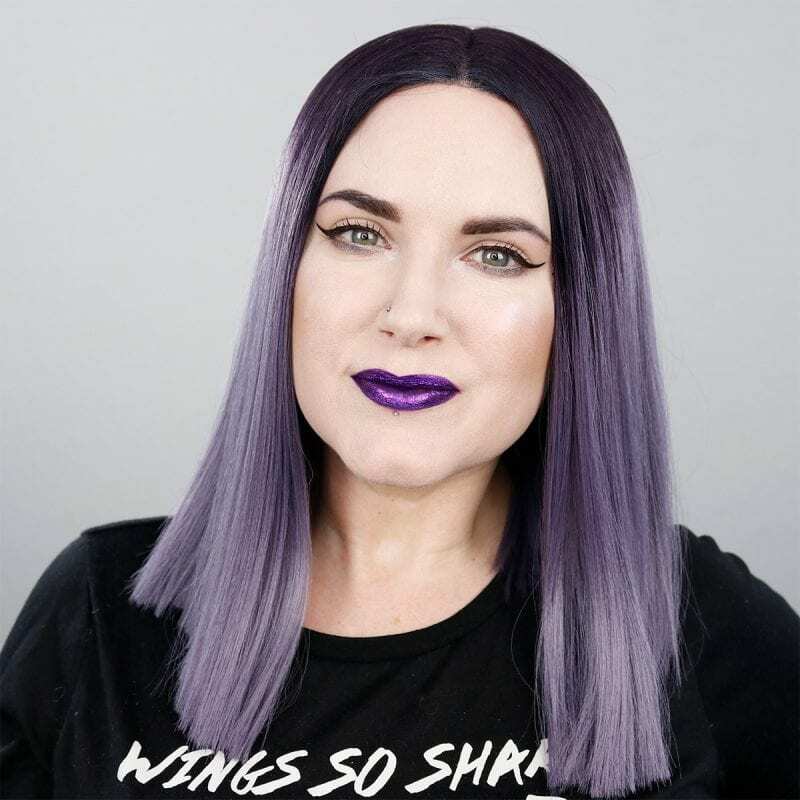 I prefer to wear the Kat Von D Everlasting Glimmer Veil Liquid Lipsticks layered on top of lip pencils, lipsticks or liquid lipsticks. I don’t wear them on their own. I really think they come alive when layered on top of other lip products. I often will only use them layered at the center of my lips. I honestly don’t feel like I’m wearing chunky glitter on my lips when I use these. They don’t have a gritty feel. 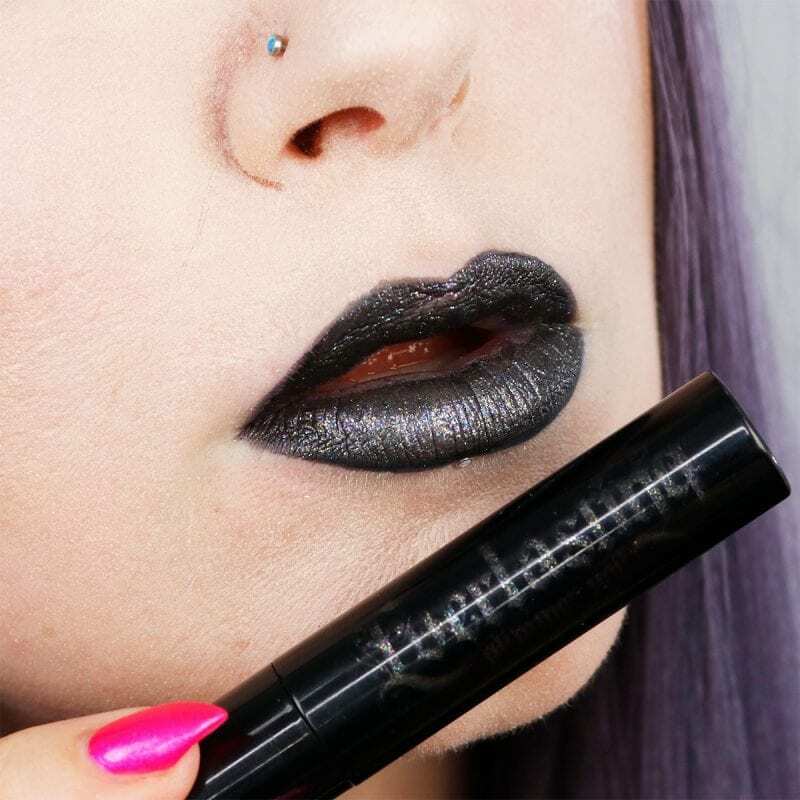 If I feel like a lip look I’m wearing needs a little extra oomph, I often add Thunderstruck to the center. In the Fall I’m obsessed with layering Thunderstruck on top of UD Conspiracy, UD Hex, or other deep burgundy red shades. I’m trying to think outside the box though and blend Shockful at the center lately. It looks amazing layered on top of reds too. 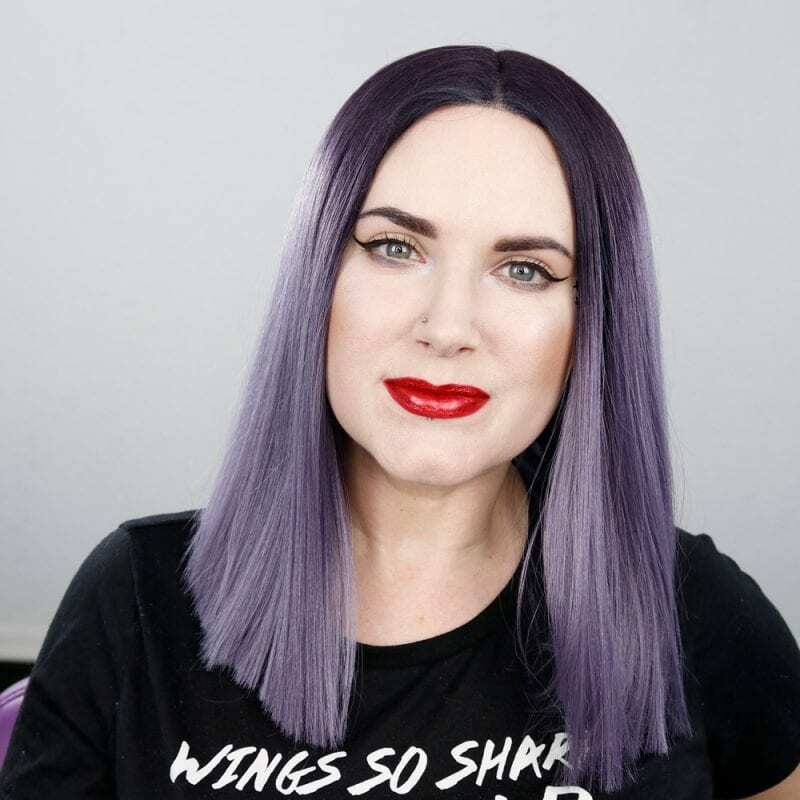 The Kat Von D Everlasting Glimmer Veil Liquid Lipsticks vary in pigmentation, with shades like Starflyer and Thunderstruck being sheerer while Reverb and Televator are more opaque. I often will dab the color onto my finger or a sponge applicator and then use that to blend at the center of my lips. This method helps to bring out the sparkles. To give you a price comparison, the Urban Decay Vice Special Effects Lip Topcoats are $18 for .16 oz (and some shades are on sale right now for $9). 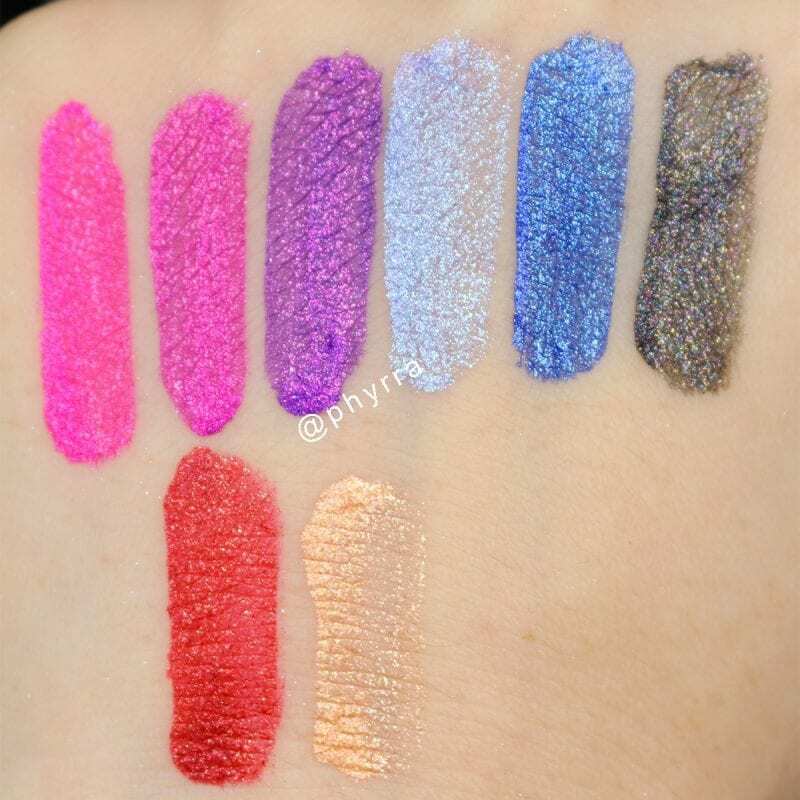 (see my swatches) The Kat Von D Everlasting Glimmer Veil Liquid Lipsticks are $22 for .18 oz, so they’re a little more expensive for a little more product. However, I think I prefer the shade range of the Kat Von D to Urban Decay, though both have gorgeous colors. 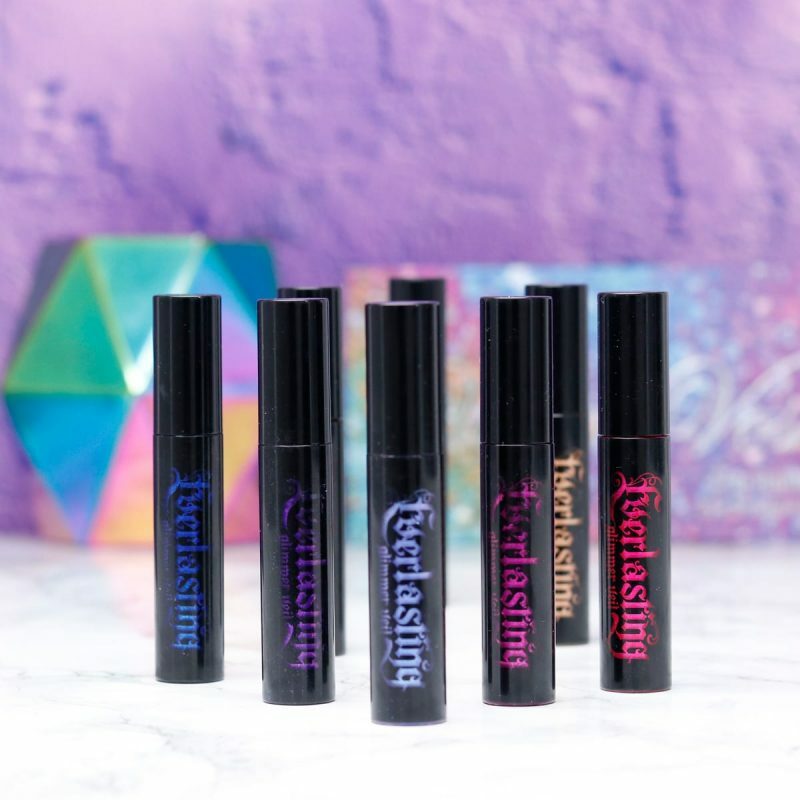 If you’re looking to create lip art or really gorgeous, multi-dimensional lip looks, you need the Kat Von D Everlasting Glimmer Veil Liquid Lipsticks. I think they’re amazing. 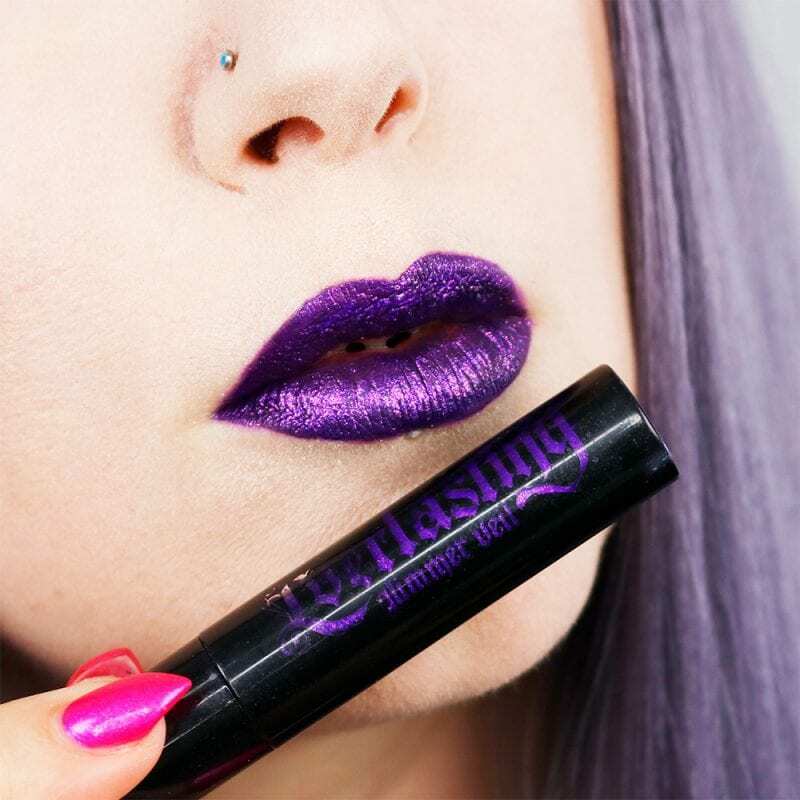 What do you think of the Kat Von D Everlasting Glimmer Veil Liquid Lipsticks? Previous articleWhere do you do your makeup? ugh, these are all so good, I can’t choose a favorite. I can’t pass up that red, though. Or the gunmetal. These lipsticks are all stunning, but I really love your simple winged liner look here. It really changes your look! Those are all so pretty! I especially like the 2 pink ones because they seem like colors I’d actually wear. My favorite is thunderstruck, frenemy looks really good on you! I love the red one, and your gorgeous cat eye look! They look great on you – the red one, more so. I wish I could pull off glittery lips. I love Starflyer!!! All of these shades look amazing on you!!! I wish I could pull them off! All of these look incredible on you! Yaaaa I’m gonna need some of these. Bye bye wallet! Those are all gorgeous! I wish I had more of an occasion to wear such bright lipsticks. I went to the gym with an all-day lip color once and got weird looks. Televator is stunning. I love how you layered these with UD Conspiracy; they look fabulous! That pink and your matching nails!! Love!! These are so amazing! The pigmentation! OMG. But, also all the shades look great on you! I wish I could wear lipsticks….these are amazing. I don’t know if i could pull of the purples, grey and blue but loving all the other shades. I dont need it. I don’t. I totally don’t have Sephora open in a new tab now. I love the Glimmer Veils. Shockful and Dazzle look so great together! I’ll definitely have to pick these up and play with them myself! I love the Glimmer Veils. I want to get more colors. I want them to add more colors, too! I’d love to see a teal blue. I know Satellite is an aquamarine shade. The purple, of course, Shockful and Razzle are especially gorgeous on you!